The Gay Gamer: Anyone else planning to pick up The Alliance Alive when it hits North America in early 2018? 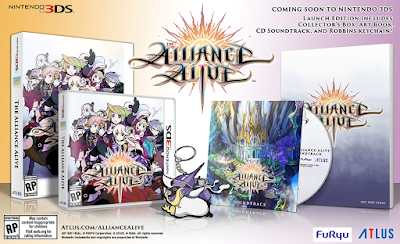 Anyone else planning to pick up The Alliance Alive when it hits North America in early 2018? 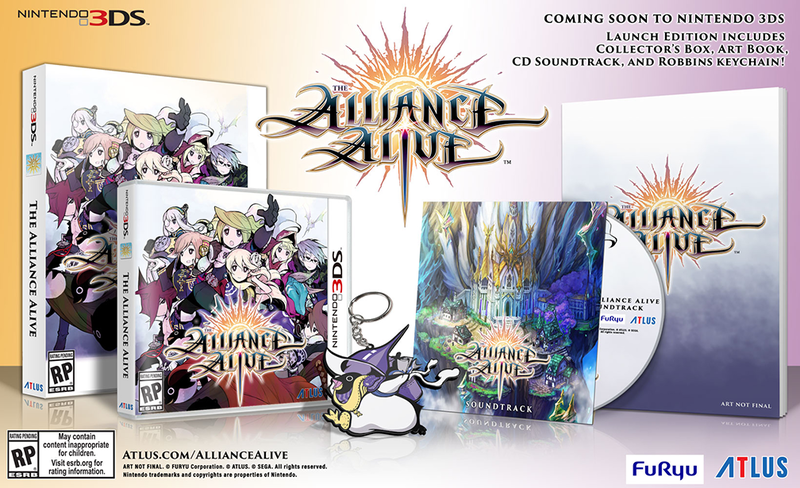 Actually, I'm not "planning" to pick up The Alliance Alive when it's released here this coming March, as I've already pre-ordered a copy via Amazon. Although different groups of developers and designers made The Legend of Legacy and The Alliance Alive, they're surprisingly similar, SaGa-esque games. Both are RPGs that allow players to select from a bevy of unique protagonists and then set them loose on a decidedly open-ended adventure. One notable difference between the two games: The Alliance Alive provides a pretty traditional overworld for players to explore, while The Legend of Legacy offers up a single hub town and a series of maps that can be gradually unlocked. To be honest, I'm not all that interested in owning the art book, CD soundtrack or keychain that will come packed inside the launch edition's sure-to-be-bulky collector's box (see above), but it seems there'll be no other way to buy a physical version of game early on, so I guess I'll have to stash away everything but the cartridge once it all arrives on my doorstep. Anyway, that's where I stand on The Alliance Alive at the moment. How about you? Have any of you pre-ordered it, or are you planning to purchase it either before or after it's released in the West?